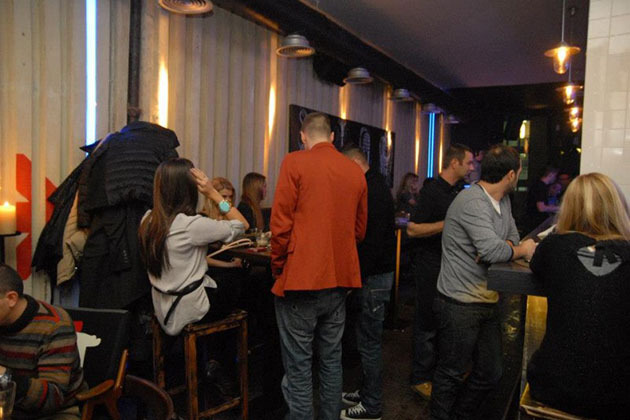 Jimmy Woo Lounge Bar, named after famous comic hero, is an exceptional Lounge Bar located in the hearth of Belgrade, at Strahinjica Bana street. It’s the most popular and perfect place to spend your free time and hang out. You will find only the best and most delicious cocktails and beverages at this Belgrade’s hotspot. The special pleasure will be given to you by lounge atmosphere enhanced by the Moon Sushi Bar. The original sushi rolls and fusion dishes have been modified for the purposes of this restaurant. You will definitely enjoy tasteful food at this remarkable Lounge Bar. With remarkable design whist following the latest music trend, Jimmy Woo has become one of the most popular places in Belgrade to be at. Once you visit it, it will be hard to miss it.